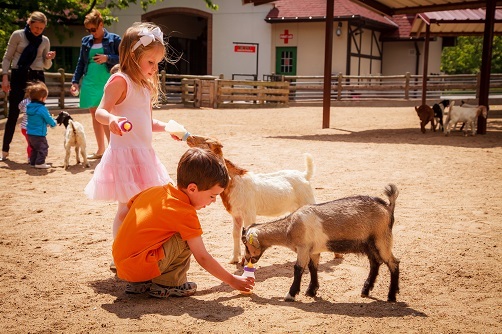 Petting zoos, rides, and unique animal interactions appeal to kids and parents alike. Luckily for anyone heading to St. Louis, MO, Grant’s Farm is a menagerie of epic proportions. Like most animals, the best way to get them to love you is with food. Stop into Tier Garden and let your kids bottle-feed a baby goat, or pretend to be Snow White as parakeets flock to you for treats. “Guests are also able to feed animals in Deer Park on the Private Expedition tour,” he says. It’s doubtful you’ll find another place in Missouri where you can ride a camel. They’re big enough to carry two kids or one adult, so live out your fantasy of being in One Thousand and One Arabian Nights. Don’t worry if such an exotic animal is difficult to handle. According to Elmore, it’s actually quite is similar to horses, and the handlers have lots of experience leading them so guests can relax as they ride. 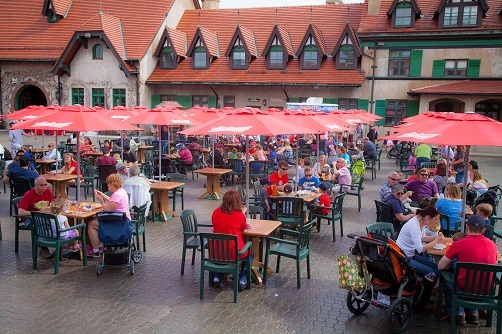 St. Louis is also famous for its beer, and they have a family friendly way to incorporate that, too. Aside from older guests getting to sample Anheuser-Busch products in the Bauernhof, it’s the training grounds for some famous horses. For those who need to take a break but still want the kids to have fun, there’s also live animal shows where you can learn about some of Mother Nature's most marvelous creatures. See Grant Farm’s famous elephant herd, and find out how you can help protect and conserve these tusked titans. Or meet animals you’d never seen before, like wallabies, giant tortoises, Macaws, and lemurs.